Eating an allergen causes most serious reactions. 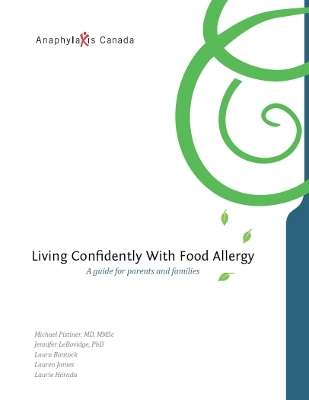 Other ways that allergens could be ingested are through saliva (e.g. kissing) or cross-contamination.5 Even ingesting a small amount of a food allergen can cause a reaction. Most of these reactions can be prevented by reading labels and taking steps to prevent cross-contamination. If you get an allergen on your skin, ask an adult for help, clean it off and wash your hands. Make hand-washing fun for young kids – sing a song that lasts about 30 seconds. 6. Simonte, S.J. et al. “Relevance of casual contact with peanut butter in children with peanut allergy.” The Journal of Allergy and Clinical Immunology 112.1 (2003): 180-182. 7. Wainstein, B.K. et al. “Combining skin prick, immediate skin application and specific-IgE testing in the diagnosis of peanut allergy in children.” Pediatric Allergy and Immunology 18 (2007): 231–239. 10. Nicas, M., and Best, D.J. “A study quantifying the hand-to-face contact rate and its potential application to predicting respiratory tract infection.” Journal of Occupational Environmental Hygiene 5.6 (2008): 347-52. 11. Roberts, G., Golder, N. and Lack, G. “Bronchial challenges with aerosolized food in asthmatic, food-allergic children.” Allergy 57.8 (2002): 713-7.